David Nemeroff values his relationships with lawyers across the state and country, and he works closely with referring counsel to make sure case information is regularly available and referral fees are maximized. Attorneys trust Mr. Nemeroff to represent their mutual clients because he is an experienced litigator who will always take primary responsibility for all aspects of a clients' case, from depositions, hearings, trial preparation to trial. He will never pass your client's case off. 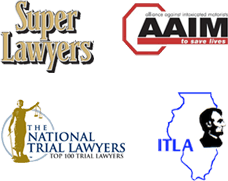 Please Note: Referral fees are for referring lawyers only in accordance with Rule 1.5 of the Illinois Code of Professional Conduct. By law, non-lawyers cannot receive referral fees.